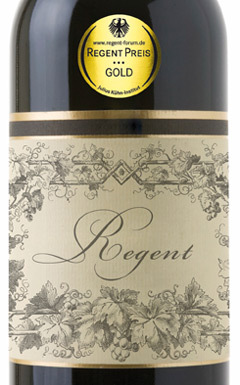 Regent wines belong to the most delightful discoveries among. The intensely colored red wines with its rich body and distinct tannin structure reminiscent of Mediterranean wines. The official International Quality Competition RegentForum promotes the involvement of the winemakers to produce high quality wines from the innovative red grape variety. With the Award RegentPrize in gold, silver and bronze wine lovers receive an exclusive recommendation for a sustainable taste adventure. The RegentForum is organized by JKI – Institut für Rebenzüchtung Geilweilerhof conducted in cooperation with the DLG TestService GmbH.